Not so long ago Europe was not merely a recurrent theme for philosophy; it was central to the traditional discourse of “philosophy of the history of the world”. Taking in work by such giants as Kant, Hegel, and Husserl, the basic idea was that the history of “Man” can be related as a movement between an original “savage” condition and a final “fully human” condition. This construal of human history was not only European in origin, but also “Eurocentric”. Its centre was the idea that the transition for “Man” in history is a movement towards an end with European humanity at the head. At stake is neither contenting oneself with reaffirming a certain history or a certain memory…nor contenting oneself with being opposed to, or opposing denial to, this [history] or memory, but rather trying to displace the fundamental scheme of this problematic by going beyond the old, tiresome, worn-out and wearisome opposition between Eurocentrism and anti-Eurocentrism. Derrida did not suppose that his own work had said the last (or first) word on such “going beyond”. Indeed, he insisted that “one won’t get there all of a sudden in one try; it will be the effect of a log and slow historical labour”. On the other hand, he did think this was a movement that is, in our time, “under way”. To get a handle on Derrida’s contribution to this movement, we might take our bearings (and distance) from two other contemporary thinkers who have taken philosophy as central to an understanding of European and world history: Isaiah Berlin and Francis Fukuyama. In the second half of the twentieth century, Berlin explored the possibility of grounding European unity in Europe’s philosophical culture. However, his contribution to philosophy of the history of the world was essentially negative and “pessimistic”: he emphasised “the decline of utopian ideas in the West”, and was writing with a post-War conviction that the classic European discourse of human emancipation and progress was all but dead. At the end of the twentieth century, in the wake of the fall of the Berlin Wall, Fukuyama attempted to revive the traditional “optimistic” genre. However, while his fundamental references were to Kant and (especially) Hegel and Marx, his analysis of the spread of democracy “out of its original beachhead in Western Europe” made little impact in academic philosophy. In important respects, both Berlin and Fukuyama have something important to teach us. Today we are, as the British philosopher David Wiggins puts it, “more resistant than the eighteenth- or nineteenth-centuries knew how to be [to] attempts to locate the meaning of human life or human history in mystical or metaphysical conceptions – in the emancipation of mankind, or progress, or the onward advance of Absolute Spirit”. And yet, as Wiggins goes on to note, this does not mean “that we have lost interest in emancipation or progress themselves”. How are we to understand this continuing interest beyond the classic Eurocentric conception? Berlin, Fukuyama and Derrida all appeal here – in divergent ways – to what we might call the universalizable promise of democracy as somehow surviving the decline of utopian ideas. Berlin more frequently saw post-Kantian interests in philosophy of the history of the world as “a recipe for bloodshed” than it is given to “a moment of illumination”. Fukuyama, on the other hand, was perhaps overly impressed by the moment of illumination. Unable to see how the idea of democracy might belong to an understanding of history as fundamentally open-ended, the “good news” of the end of history announced by Fukuyama was undermined by its ideal as well as its empirical implausibility. But Fukuyama’s failure does not imply that that his concerns should be consigned to the history of ideas. On the contrary, it calls for new chapters in the philosophy of Europe, a new effort to come to terms with Europe’s cultural heritage and identity in our time. 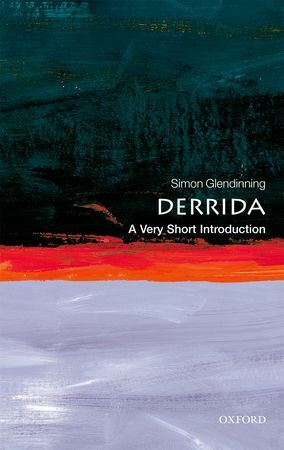 As a self-styled “guardian” of what he called “the uniquely European heritage of an idea of democracy”, Derrida did more, I think, than any thinker in recent years to take credible steps in this laborious movement beyond Eurocentrism and anti-Eurocentrism. In the absence of a story of world history, the idea of democracy will no longer be thought through in terms of the history-ending realization of the ideal form of social life, nor even in terms of a regulative idea in the Kantian sense. What needs to be secured today, and what Derrida gave us to think, is the idea of democracy as something that entails a more open-ended history of emancipation and progress: of democracy as something that, in its concept, always “remains to be thought and to come”*. * Jacques Derrida, The Other Heading: Reflections on Today’s Europe, Indiana University Press, 1992, p. 78. Simon Glendinning is Reader in European Philosophy in the European Institute, London School of Economics. He is the author of Derrida: A Very Short Introduction. Today, Derrida warns, the question of Europe must be asked in a new and heretical way. Above all, the question must be asked by recalling that ‘the other heading’ is not a mere metaphor subject to capitalization. Rather, it is the very condition of our metaphors, our language, and our thought. It implies an elementary, even if impossible, transfer between singularity and universality- an antinomy even in Derrida’s opinion- between the particularity of a place and the universality of the idea of place. The pamphlet is neither an analysis of particular discourses about Europe, nor the proposal to broach the intricate, troubled current problems the union and the establishment of a transnational European state posit. It is a text in which Derrida denounces the new liberal consensus- which he sees having ruled the West since 1989- lashing out hysterically at the “New International” of global capitalism, financial world and media conglomerates that have established a sort of hegemony. Derrida is less critical of Marxism- see Spectres of Marx, a book that clearly continues the discussion of two genders/genres of la/le capital in Other Heading-. He believes that communism became totalitarian when it began by realizing the eschatological program laid out by Marx. Marx’s problem, in Derrida’ view, was that he did not fully carry out his own critique of ideology and remained inside the ontological tradition. That explains the Gulag, that explains the genocides and terror committed in his name by Soviet Union. What particularly interests, however, is that Derrida throws doubts on every political principle of Western philosophical tradition (propriety, intentionality, will, liberty, conscience, self-consciousness, the subject, the self, the person, and community). He asks himself, are judgments about political matters still possible? Can one still distinguish right from wrong, justice from injustice? Are these terms so infected with ontologism that they must be abandoned? Can it really be that deconstruction condemns us to silence on political matters? Can we find a linguistic escape from the trap of language?